Prof. Dr. Zongqiang MAO, Chairman in the China Association for Hydrogen Energy (CAHE) and the Member of the Board of International Association for Hydrogen Energy (IAHE) together with his interpreter Dr. Weibo Zhang, from ZSW, Ulm, Germany. 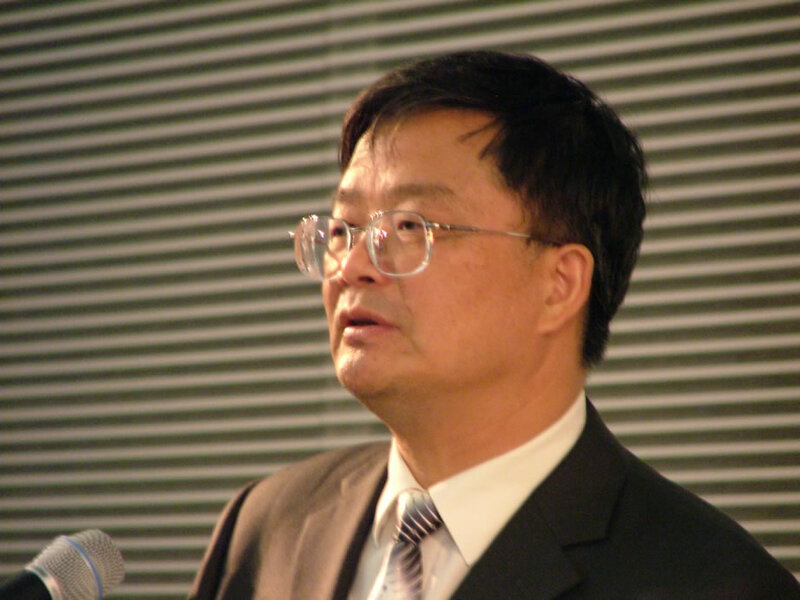 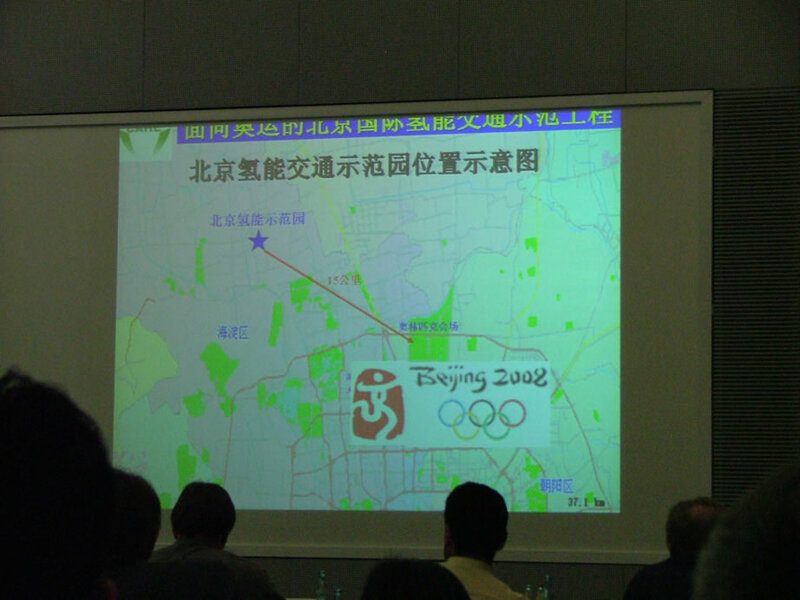 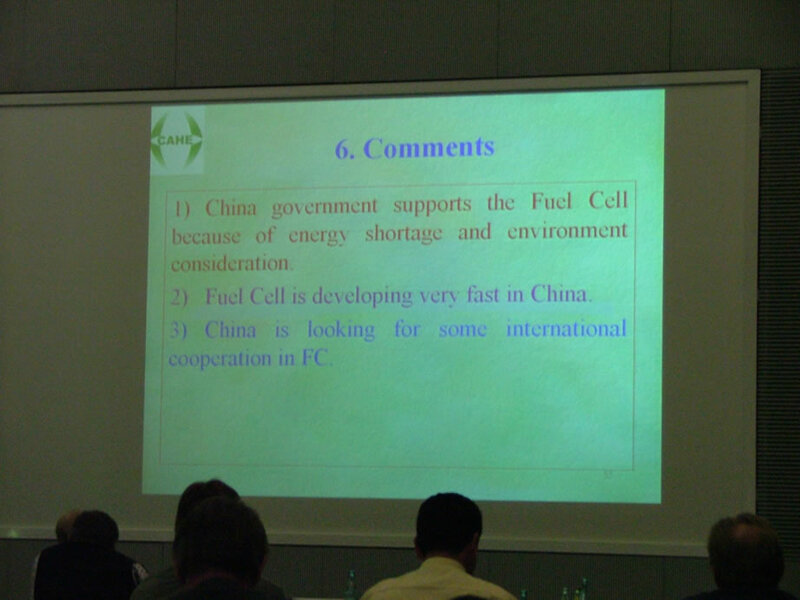 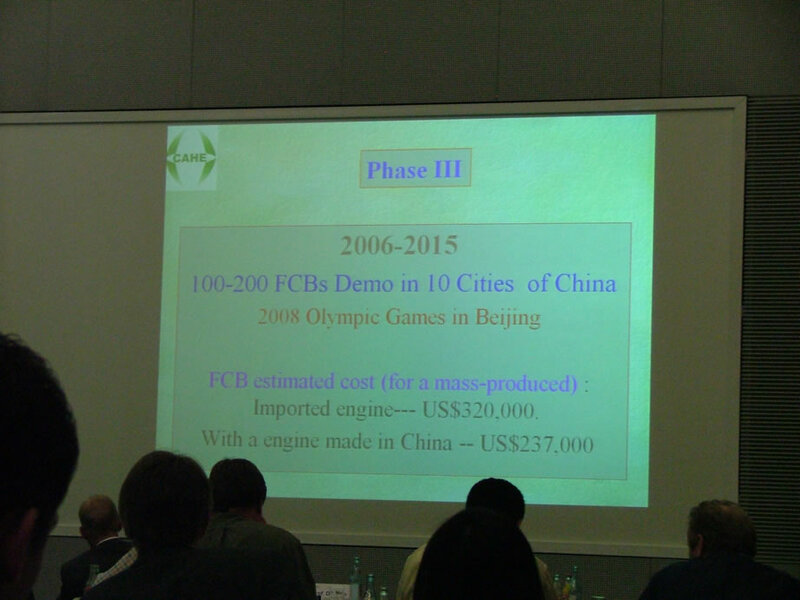 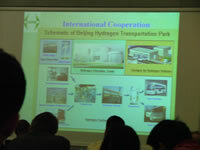 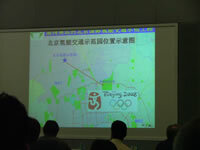 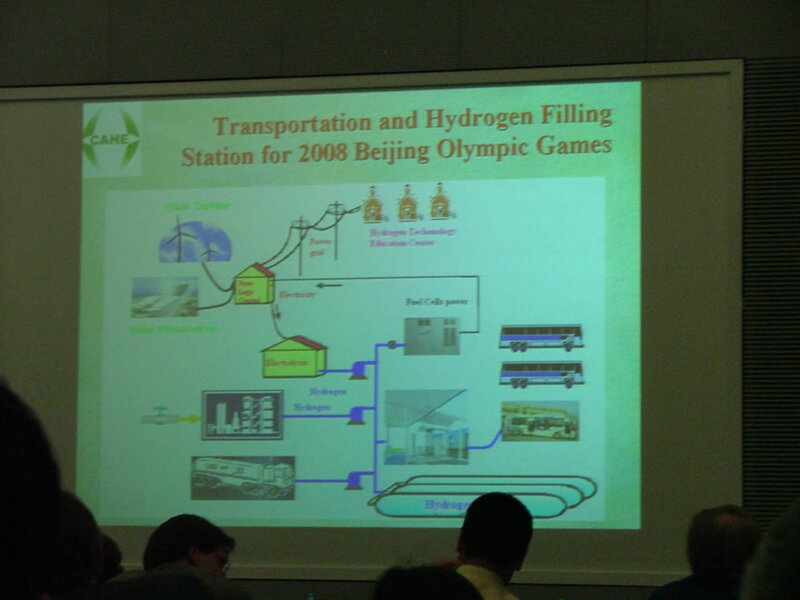 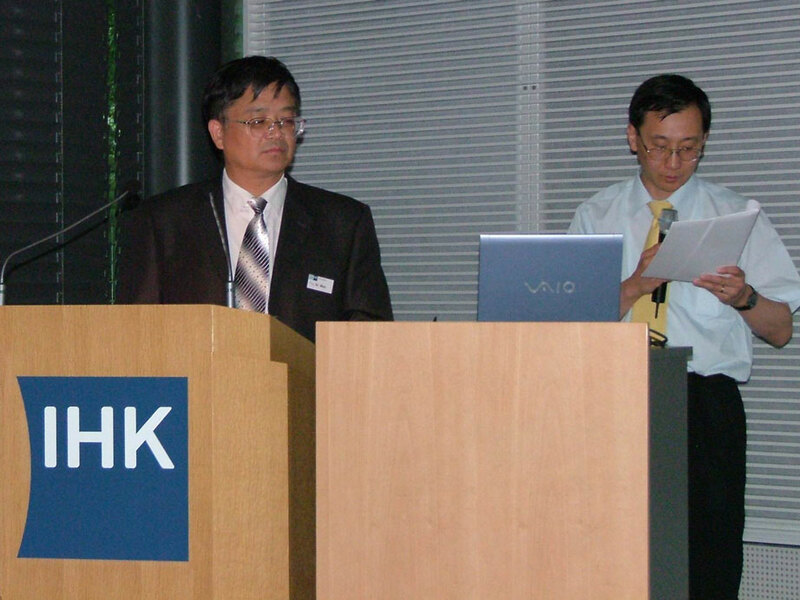 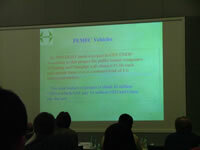 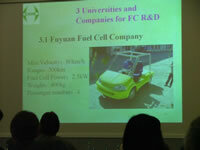 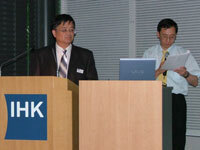 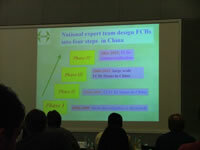 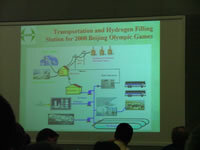 Excerpts from the presentation of Prof. Dr. Zongqiang MAO about the development of Hydrogen and Fuel Cells in China. 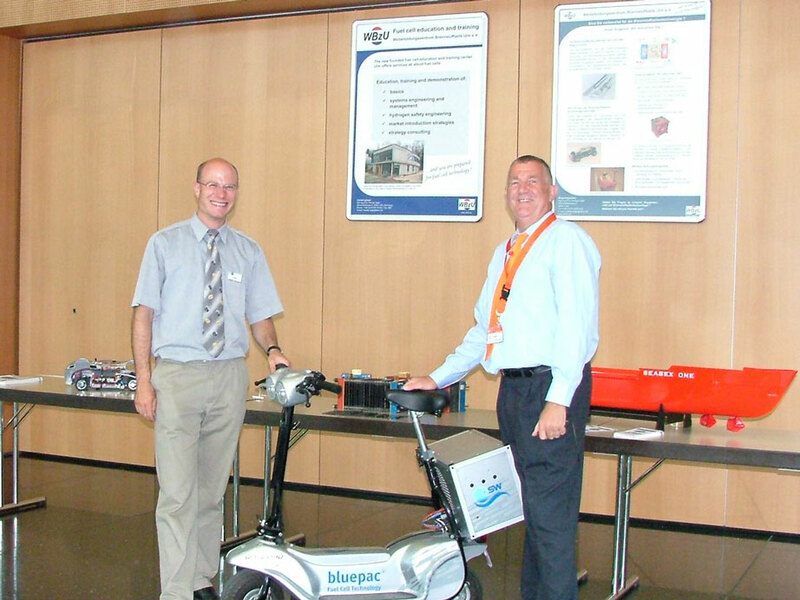 Gerd Finkbeiner, Chairman of the Conference from MAN Roland Druckmaschinen AG, Augsburg, Vice President IHK Schwaben (left picture). 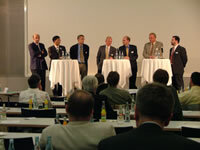 At the Round Table Discussion (middle picture). 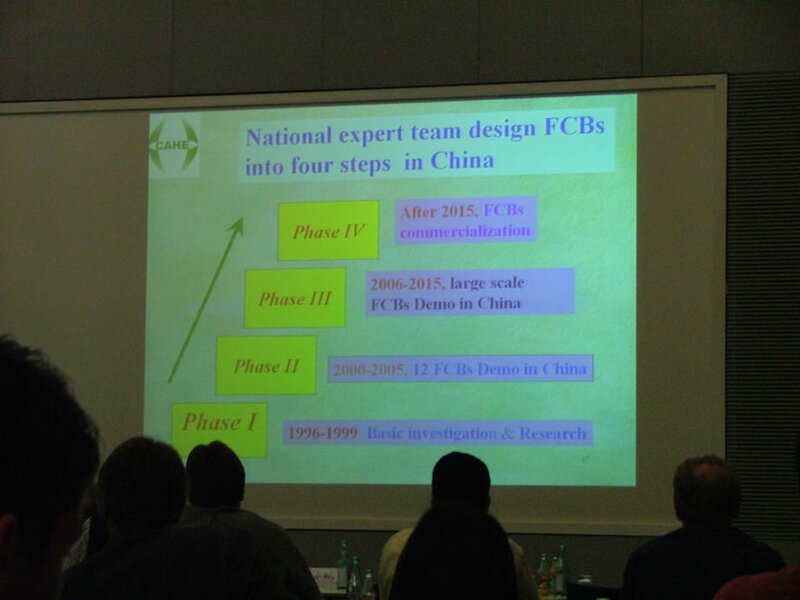 Right picture: Dipl.-Ing. 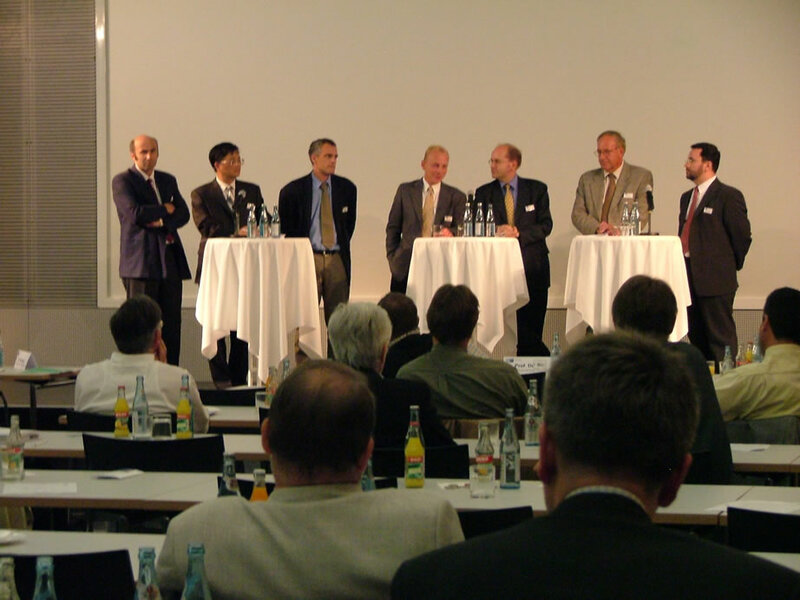 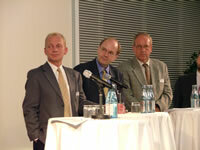 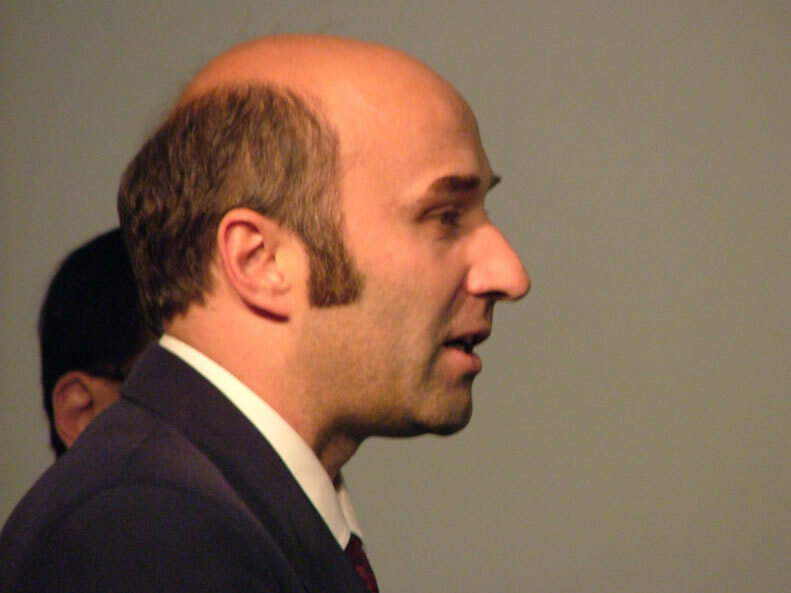 Peter Berger, Manager Marketing and Sales, MTU CFC Solutions GmbH, München; Dipl.-Phys. 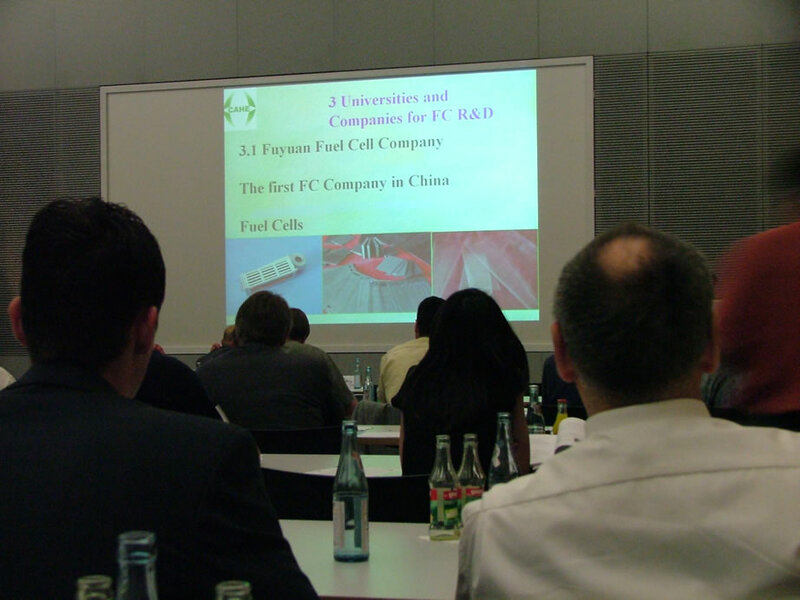 Dr. Joachim Kroemer, PROTON MOTOR Fuel Cell GmbH, Starnberg; Dipl.-Ing. 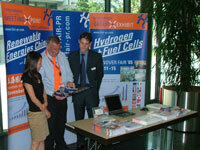 Ralf Szamer, Project Manager Hydrogen / Fuel Cells, TÜV Industrie Service, TÜV SÜD Gruppe (from left to right). 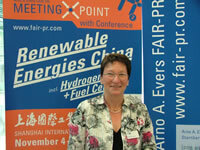 At the Meeting Point of Arno A. Evers FAIR-PR, Starnberg, Germany. Representatives from Industry- und Handelskammer Schwaben (IHK) Augsburg, Germany are interested to learn more about the Meeting Points in Shanghai '04 and the Group Exhibit HANNOVER FAIR '05 (picture left). 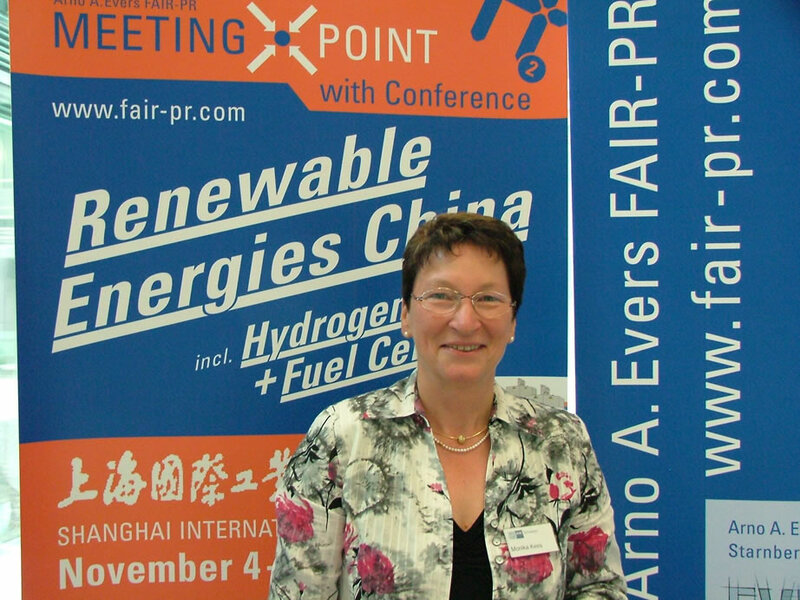 Monika Kees, the organizer of the Event (middle picture). Dipl.-Ing. 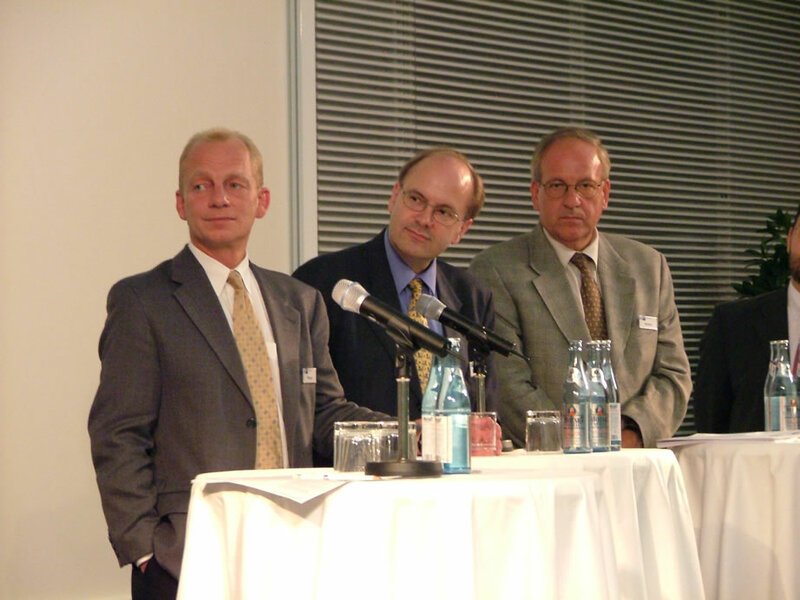 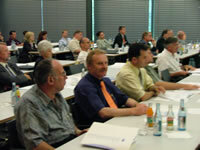 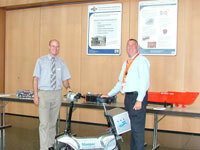 (FH) Thomas Aigle, Weiterbildungszentrum Brennstoffzelle Ulm e.V., Germany, together with Arno A. Evers from Arno A. Evers FAIR-PR, Starnberg, Germany (right picture).